It was another hot day for our 5th pickup. I was quite afraid that I wouldn’t make it in time for my pickup as the trains from downtown were delayed due to some issues with the switch. We sat in the hot, packed train (with no air conditioning – because I was on one of the older models) for what seemed like forever! However, I got to the market with 1/2 an hour to spare. 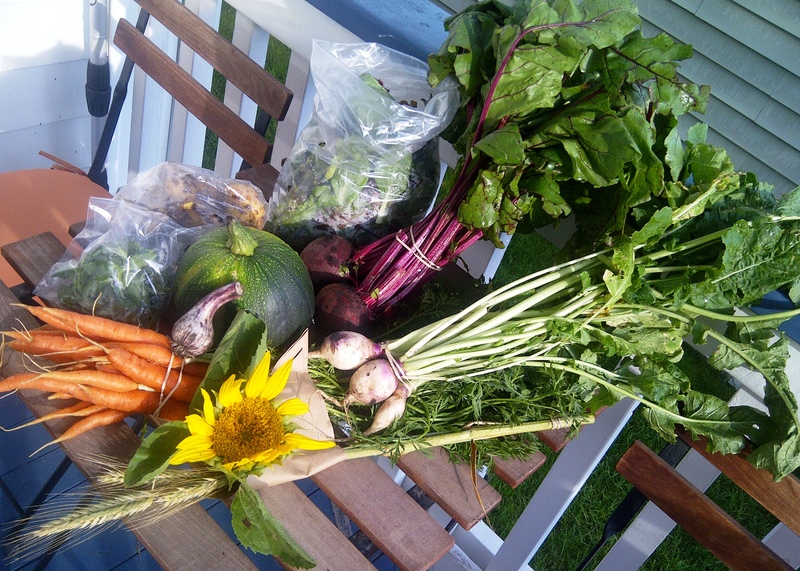 This week, we received Potatoes, Mixed Greens, Beets (red and white), Carrots, Squash, Basil, a bulb of fresh garlic and a glorious sunflower. Lots of yummy carrots! How do you like your carrots?